This is what students will see as part of their assessment. 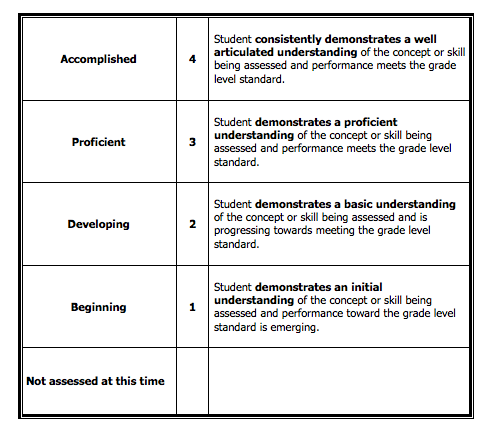 4 or Accomplished is not to be equated with an A as these do not line up with letter grades. To receive a 4 student has to be at a 6th grade level or higher within the particular subject.